Credit Repair To Qualify For FHA Loans is often not required. Credit Disputes, with the exception on medical collections, is not allowed during the mortgage loan process. Is Credit Repair To Qualify For FHA Loans Recommended? Credit Repair To Qualify For Mortgage is not recommended. Many borrowers do not realize that they can qualify for mortgage with prior bad credit. 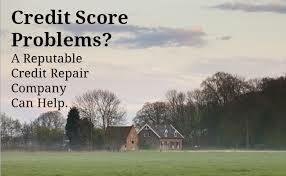 All mortgage loan programs has a minimum credit score for borrowers to meet. FHA requires a minimum of 580 credit scores for a home buyer to qualify for a 3.5% down payment home purchase FHA Loan. Down Payment can be gifted to home buyers under FHA Guidelines. Most FHA Home Buyers do not have to worry about closing costs. Lenders want to make sure that home buyers are able to afford monthly mortgage payment and that the mortgage payment will be timely. Whatever a credit repair company can do, on can do it themselves. Home buyers do not need to hire credit repair to qualify for FHA Loans. There are many dangers in credit repair during the mortgage loan application process people need to be aware about. We have covered many blogs about credit repair and how to repair own credit. Credit repair does take time. Why do credit repair if it still needs to be disclosed? All mortgage loan programs, whether it is FHA, VA, USDA, Fannie Mae, Freddie Mac will not allow credit disputes during mortgage process. Home Buyers who need to qualify for FHA Loans or other loan program with a direct lender with no overlays on government and/or conventional loans, feel free to contact The Gustan Cho Team at Loan Cabin at 262-716-8151 or text us for faster response. Or email us at gcho@loancabin.com . We are available 7 days a week, evenings, weekends, and holidays.